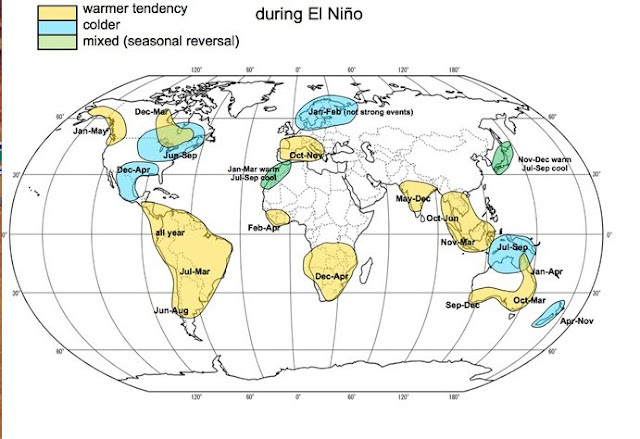 All these and more countries report very warm beginning of winter weather. NOAA also recorded warmer weather for much of the Arctic, China/Mongolia Finland/NW Russia. 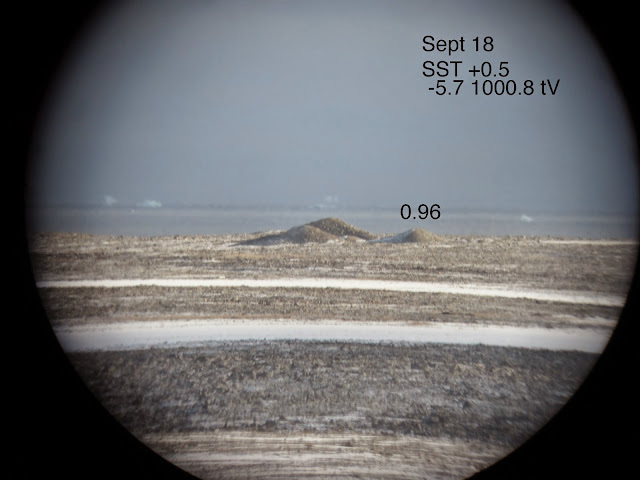 And the Spitzbergen NE from Greenland area. 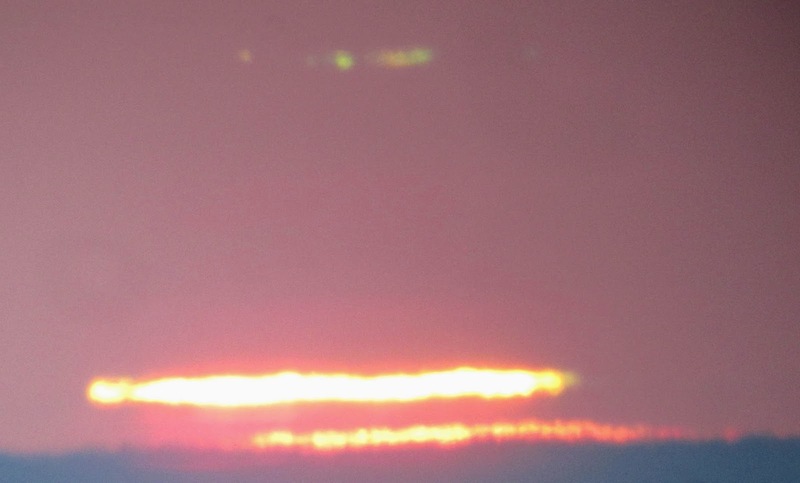 with the oceans warmer, the jet stream would bend elsewhere, as it does, giving a different anomaly result. The met office worldwide El-Nino warming tendency, also does not look like the current temperature anomaly presented above on top. 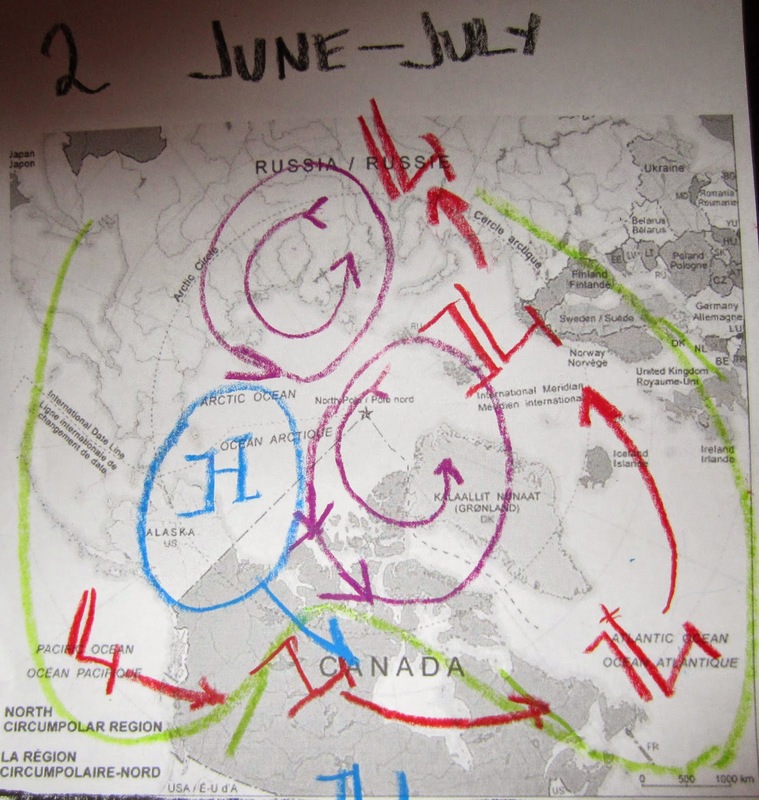 Especially for NW Russian and Eastern North America and China anomalies. 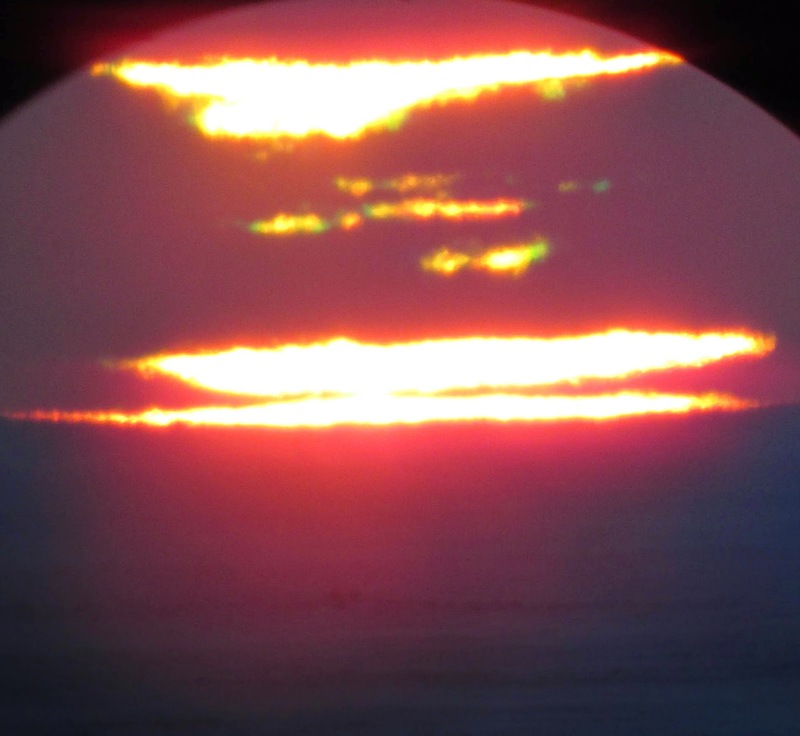 It is more reasonable to attribute this warming to a synergistic mix from well known causations .
. On top of that, the Northern Hemisphere NASA GISS D-N is a staggering +1.1 C as opposed to 1998 +0.71 C.
All long range weather projections must consider Sea Ice extent to be correct; April 19 2015 forecast comes through in September! 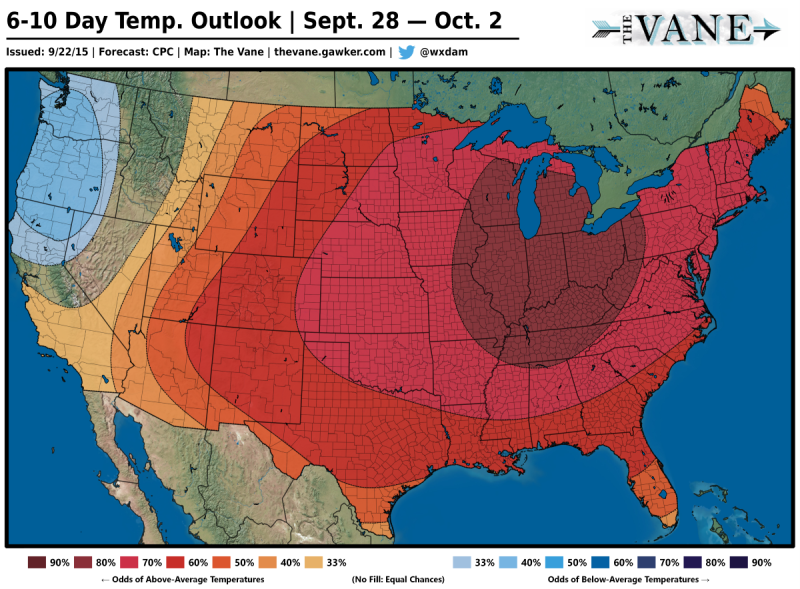 ~El-Nino cooling great parts of Eastern North America did not happen. 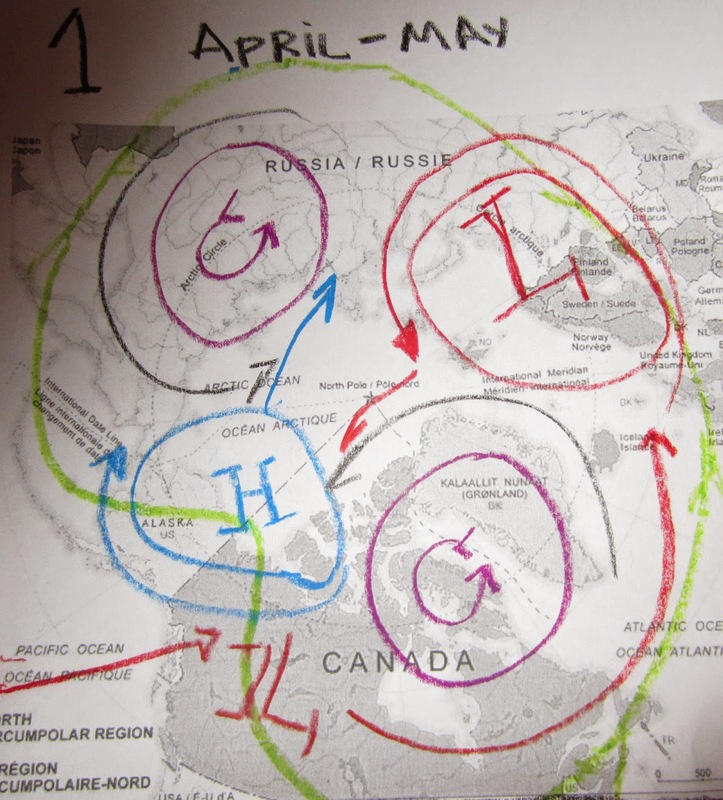 ~If only sea ice extent projections were just as easy as long range projections with a paper and crayons. April 18 Sketch of August September circulation, part of my yearly long term projection based on refraction techniques and other means. 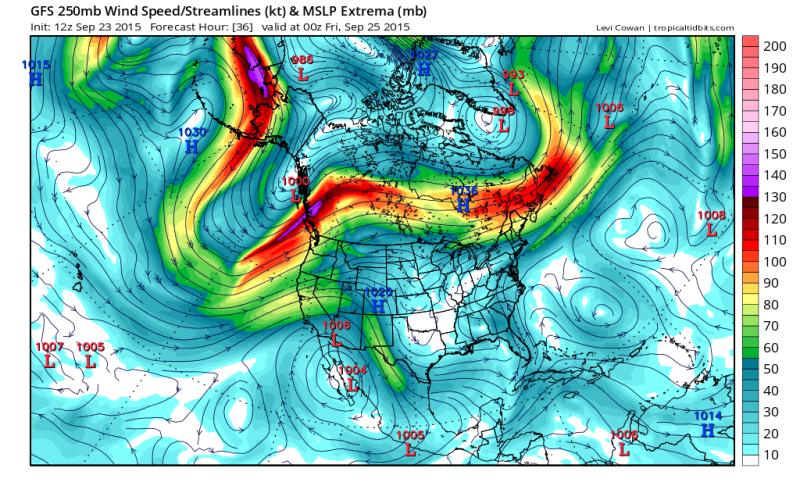 In Green is the jet stream. Makes it so on September 23. A very warm summer continues past the autumn equinox, largely because the cold lost a lot of its source, the summer Arctic Cryophere much reduced to Greenland and very much less sea ice than usual at this time of the year. 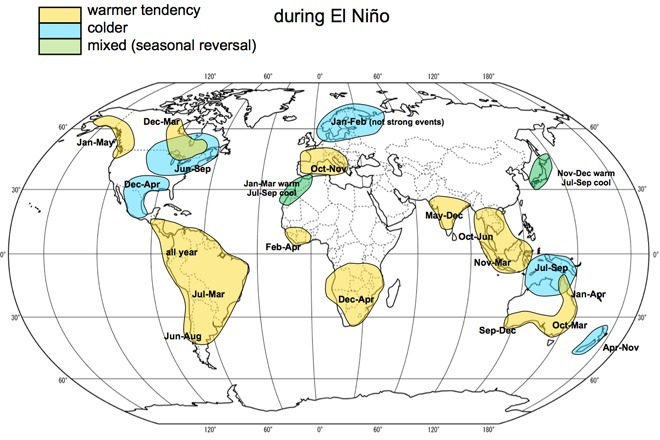 "Although the primary effects of El Niño will likely be restricted to temperatures and snowfall in Central Canada, there could be a number of indirect consequences, such as lower grocery prices due to increases rainfall in California and a better growing season." 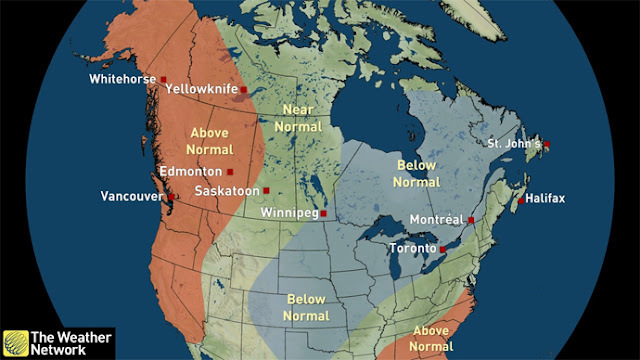 "The forecast isn’t so sunny for Ontario and Quebec, where Scott says temperatures are expected to be cooler than seasonal norms overall. Both the Prairie and Atlantic provinces are forecast to see summer temperatures within seasonal averages, with Alberta trending slightly warmer." NOAA past 90 days demonstrate the "below normal" Weather Channel projection was off, largely because its an El-Nino based forecast. Very little consideration is usually given to sea ice extent with respect to these outputs. The apparently thorough WN essay had not one word about sea ice. Breaks down this end of summer extension extremely well. In particular looking at CPC's outlook completely turns the tables on the Weather Network weather projection. To all those who try, be weary about making weather projections without considering the Polar Cryospheric prognosis. 2015 major melt contributor: lack of snowfall during preceding winter. One of the biggest factors of 2015 melt was the lack of snow driven by a pan-continental Russia to North america flow of middle Russia dry air. 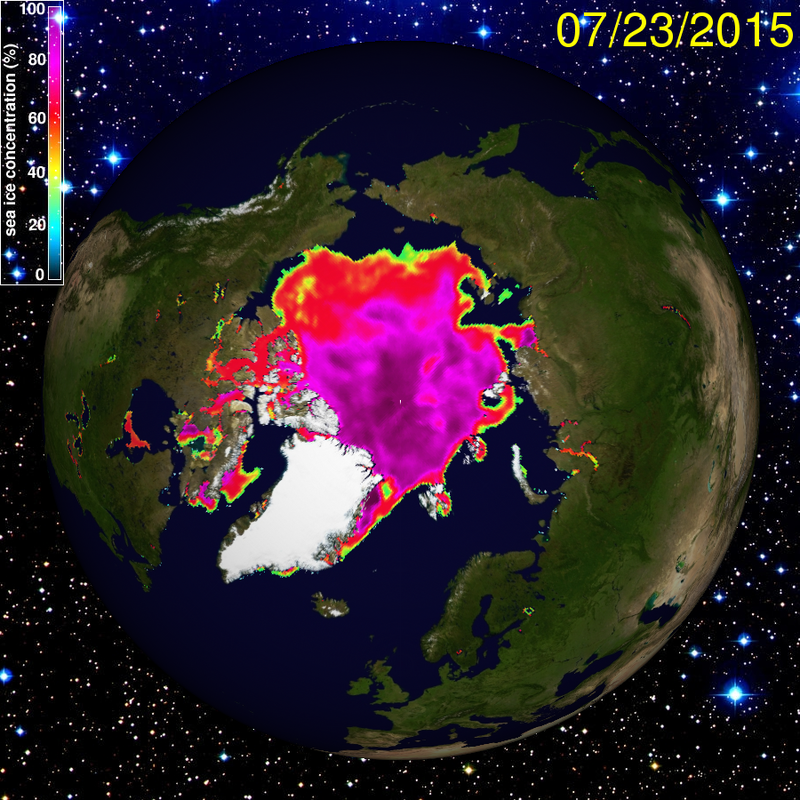 In one hand , accretion is greater when sea ice is bare and exposed to Arctic long night sky. On the other, falling snow, colder than sea water , floats and does not melt below 0 C, which is the definition of Arctic Ocean surface temperature in September. 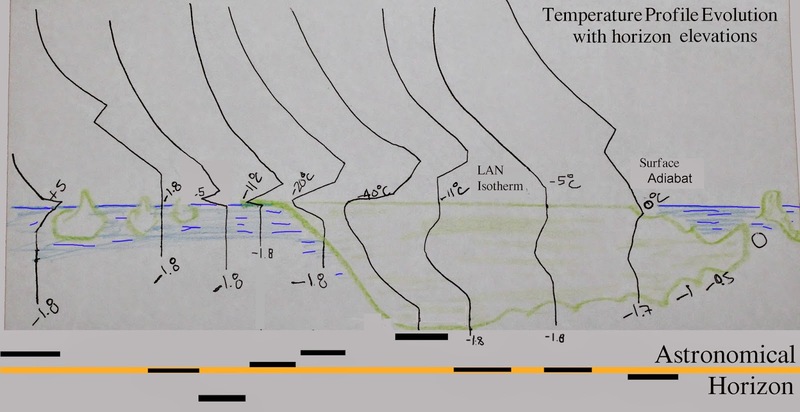 In Arctic autumn, snow just floats or appears a bit submerged just under the surface, this stabilizes the sea surface and likely affects water column convection flow, and creates just right conditions for refreezing. 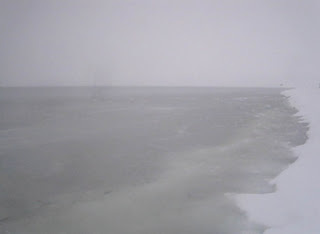 I have documented Cryosphere Today mis-interpreting a snow laden sea as ice. 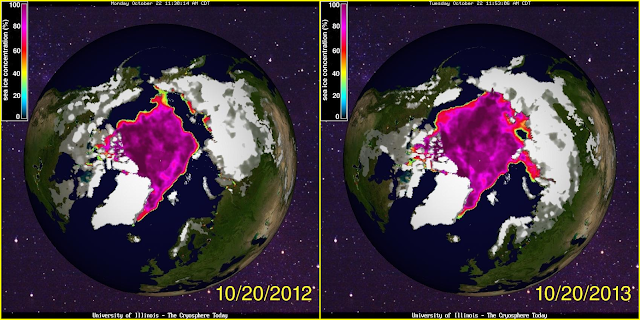 But very shortly after, in a matter of days, sea ice set. Little precipitation during the long night also causes, and more importantly so, less drifting snow, which helps ice set much earlier in autumn, or at any other time during the long dark winter. Looking at this CT Archive retrieval, one would guess 2012 had a moderately greater melt than 2013. 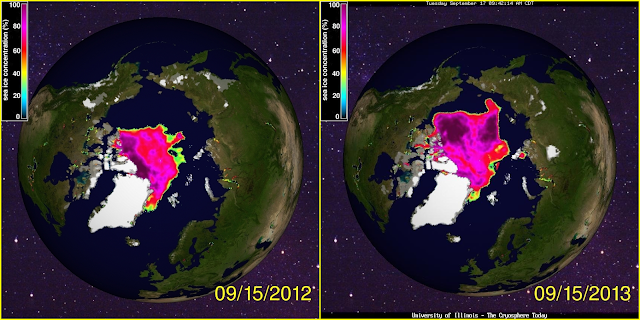 Note the 2012 snow surface cover over lands of NW North-America and North-East Russia. 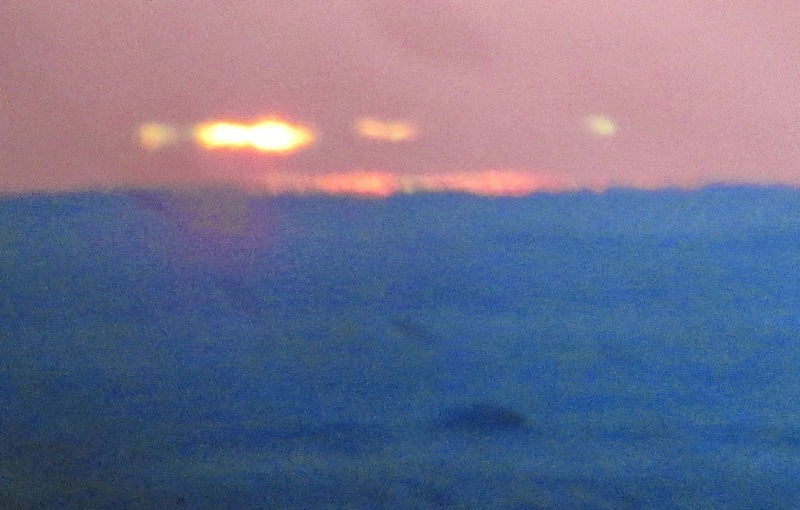 Logic would dictate more snow presence in tandem with more open water over these naturally colder regions, it was so. 2012 Ice surface extent recovered remarkably quickly in no small part because it snowed more. But look again, 2012 at minima had a great deal less ice than 2013, and not surprisingly more snow on said colder lands in 2012 rather than 2013, despite the inferred warmer weather because of the Arctic Ocean massively open in 2012. 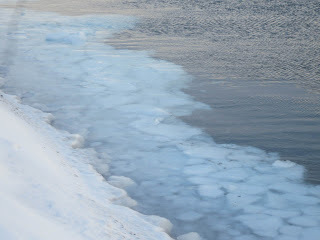 No, this is not ice, not even grey ice, but fresh snow covering sea water. The winds were just right to create this result. Winds mixed the surface up, and "snow cakes" still lingered on shore and not much further away covering most of the Strait, until the ice set in about 48 hours later. There was no doubt that snow helped accelerating freeze-up. 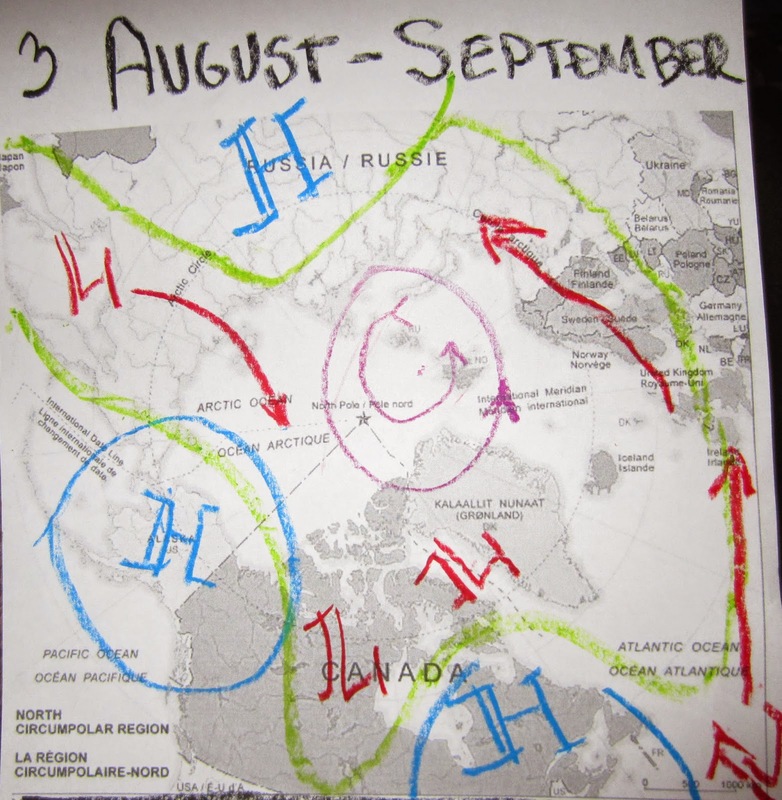 With a warming El-Nino comes the prospect of more clouds, but irrelevant during warm Arctic Summer because clouds form a whole lot less with much colder Arctic ground and sea temperatures than found further South. 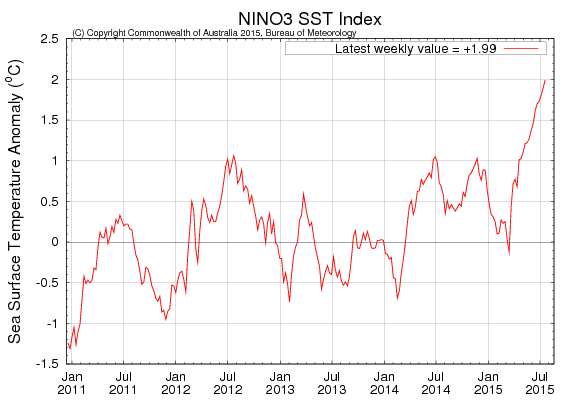 BOM El-Nino 3.0 index finally displays a burgeoning El-Nino after several quiescent activity periods or false starts, from 2011 to January 2015. 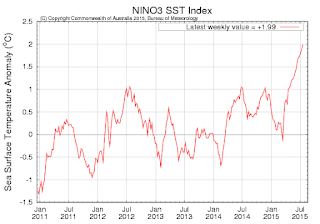 1 day apart SST charts july 19 2012, july 20,2015. The North Pacific is way warmer in 2015 as well. Undoubtedly contributing to a warmer pan-arctic summer. 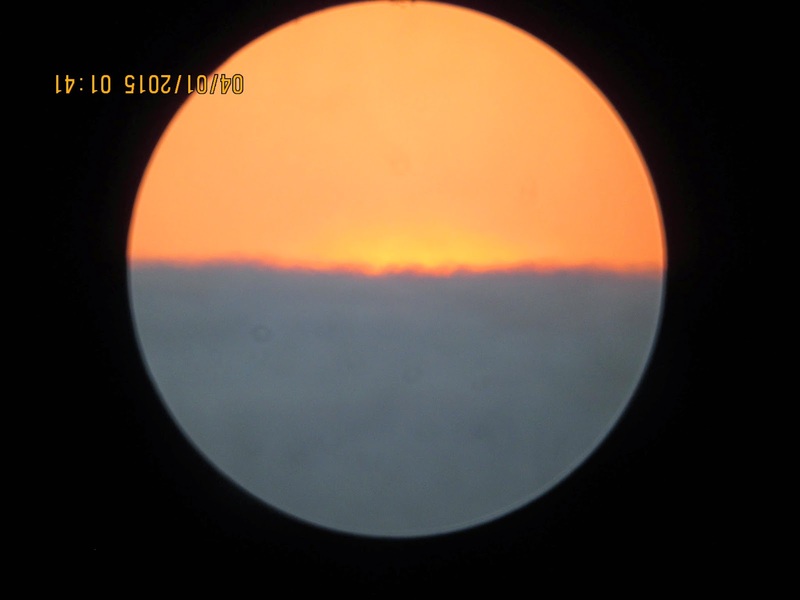 The clouds should overwhelm when the sun will appear lower above the horizon, by end of August. 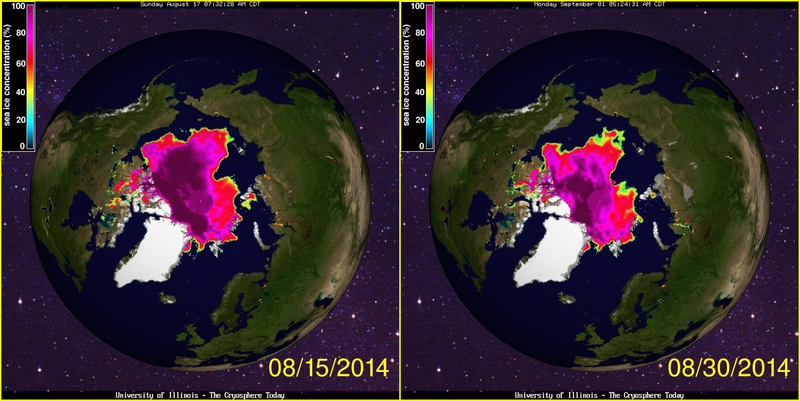 Cryosphere today July 18 2012 and 2015. Arctic sea ice seems right on track to eclipse 2012 record minima, note all the ice in Kara, Hudson and Baffin Bay seas in 2015, remove it, about 300,000 Km2, as it will surely happen, this makes July 18 2015 area virtually tied with 2012 at this moment . Except same date 2015 has huge more expansive water with Chukchi and East Siberian seas, exactly where it matters the most. 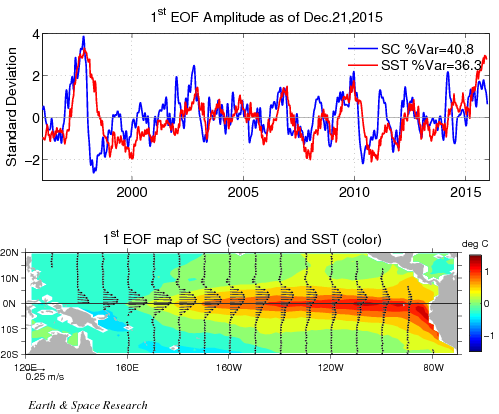 Beaufort's attributed 40% cover is a bit misleading as Beaufort opened and closed often by the prevailing winds. 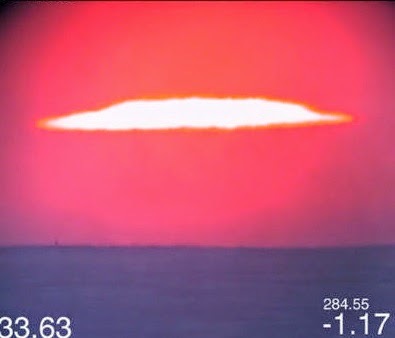 From now on, the sun will do much further warming than 2012 on Chukchi and East Siberian, way more prominently in tandem with very warm North Pacific waters. Hudson and Baffin Bay current sea ice areas are but temporary outliers and will vanish soon, they are a product of a dry winter just past. 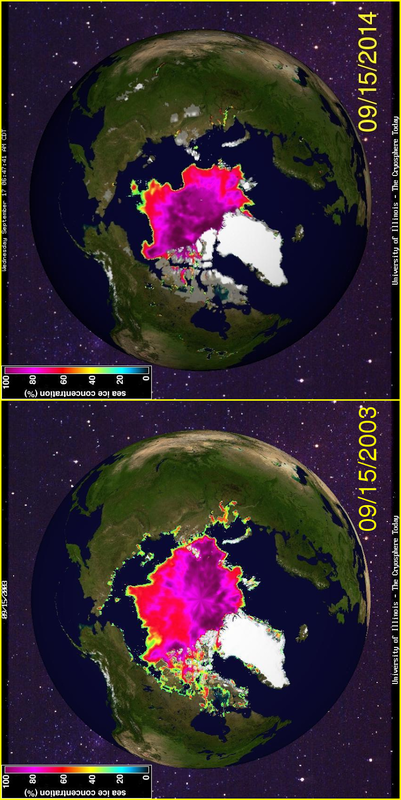 Snowfall helps create thicker sea ice, less of it over the winter meant more sea ice accretion from the setting of fast ice onwards, but also creating lesser ice Extent at maxima where the normal Arctic polynyas exist, these helped create a much more earlier ice free NW passage sea route just about to open. The over all outlook is in favour for 2015 to become new standard bearer for all time minima extent and area, it will be quite obvious soon.